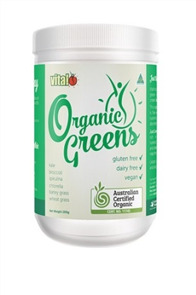 Vital Greens now named Vital All-In-One is a carefully balanced blend of nutritionally rich greens, vegetables and fruits, plus additional herbs, vitamins and minerals, powerful antioxidants, probiotics, essential amino acids, digestive enzymes and fibre. Vital Greens is suitable for the whole family and is great for anyone wanting to maintain optimum health. 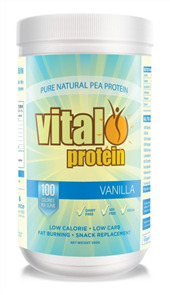 Vital Greens is ideal for vegetarians and vegans and for people with dietary restrictions, gluten, wheat and dairy free. This great tasting powerful multi-nutrient powder is sweetened with organic Thaumatin, a completely natural patented sweetener. 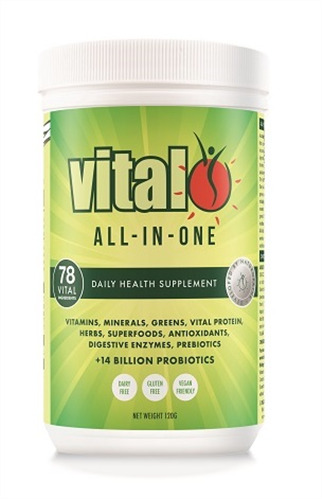 Vital All-In-One is your all-in-one daily comprehensive multi-nutrient. Two heaped teaspoons of Vital Greens are loaded with 76 minerals and vitamins, pre and probiotics, high levels of antioxidants, fibre, alkaline pea protein and essential fatty acids. 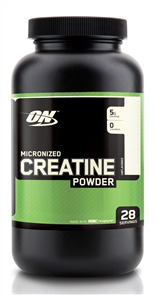 All of this makes up a great, easy to take supplement to fulfill your daily nutritional requirements. Vital All-In-One Greens is Dairy, Gluten and Wheat free and also contains no artificial sweeteners or flavours. Vital All-In-One is made with the exact proportioned amounts of ingredients to make sure that it provides the maximum effect for the support of immunity, digestion, detoxification, intestinal health and also to provide the necessities for energy and vitality. Vital Greens provide are a boost in energy levels, suitable for gluten intolerant people and vegans and is also a powerful superfood. I was recommended this product by a friend to keep me from getting sick and to give me energy and I was not disappointed! 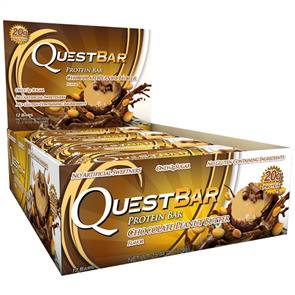 I order this all the time now and would recommend this to everyone! Vital is amazing. Notice a huge difference in your overall health when I take it daily. Highly recommend. Highly Recommend! A+++ fast delivery. Received my product within 2 days. Reaping the benefits already. Thanks Sprint Fit! 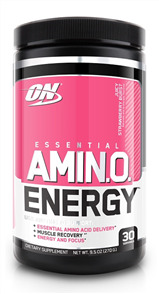 I love this product - I take it with me when I travel so that I can get my daily dose of vitamins when on the go! 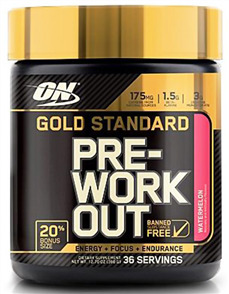 Ordered through SprintFit as they were the cheapest by far online. Believe it or not, 300gm in the local chemist is $75! Received very promptly and myself and the wife are very, very happy with this purchase. Great taste - whether mixed with water or juice. Feeling the benefit already and couldn't praise SprintFit more for making this product so affordable and accessible to us. Thanks a million SprintFit - you guys rock! This product makes me feel great. I take it once a day and I believe it keeps me feeling healthy and good. keeps the colds away for sure! An easy supplement to take. I mix mine up in my morning smoothie. Tastes great and ensures that my family gets their greens. Swear by this stuff. Take it every morning and it jump starts my day. Highly recommend this to everybody and it tastes great too.